Usain Bolt rocketed into the history books on Sunday night at the Summer Olympics in Rio after becoming the first person -- man or woman -- to win the 100-meter final three times. 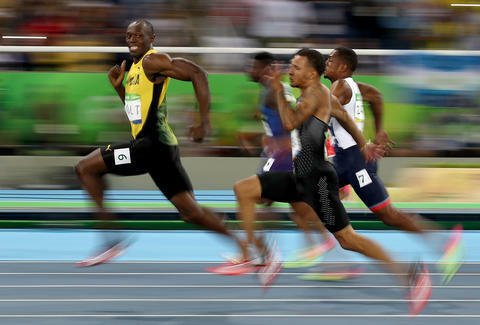 But in a semifinal leading up to the historic race, the world's fastest man was perfectly captured grinning mid-sprint in what will likely go down as one of the most spectacular and iconic photos in Olympics history. Tony Merevick is Cities News Editor at Thrillist and thinks memes make everything better. Send news tips to news@thrillist.com and follow him on Twitter @tonymerevick.